Are you unable to connect your PC/Laptop to the internet? Is your system is throwing “No Internet Access” error message? If YES then keep calm as these are the common scenarios and you can easily deal with them. 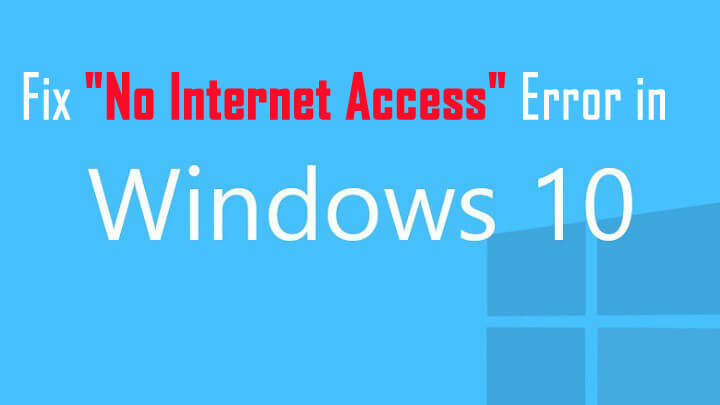 There are several causes that can trigger this type of issues, according to some users they start receiving “No Internet Connection” after installing the latest Windows updates. 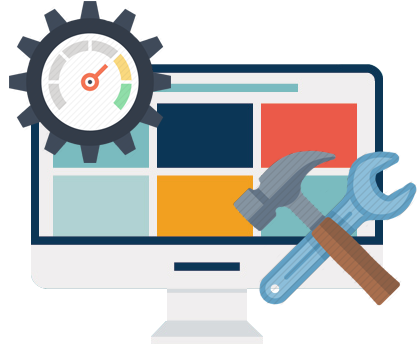 If you are suffering from any of the above-discussed scenarios then you don’t need to worry as you can easily deal with these situations with the help of below-given fixes. Follow the given solutions one by one to make your PC/Laptop normal and enjoy the Internet. Note: Before fixing “No Internet Connection” it is recommended to create a system restore point and take a backup of your Windows registry. This will help you to deal with any unwanted situation. After flushing DNS you will see that No Internet Connection issue gets fixes and you can now enjoy your internet connection. 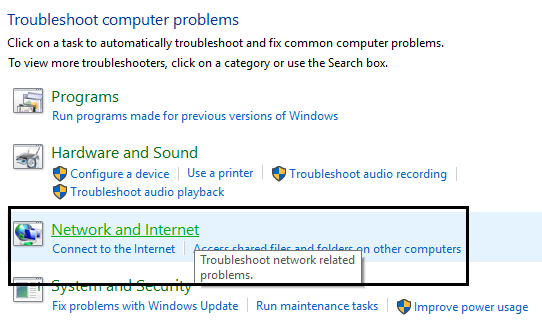 In order to run the Network Troubleshooter you need to right-click on the network icon -> choose Troubleshoot Problems. And follow the on-screen instructions. After it, press Windows key + W and type Troubleshooting, Press the Enter key. Here choose “Network and Internet. 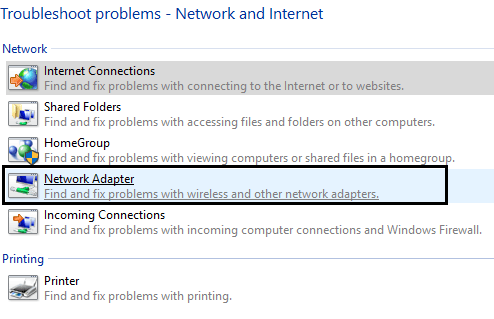 In the next window, you need to click on the Network Adapter option. Simply follow the onscreen instruction and you will get rid of No Internet Connection issue. 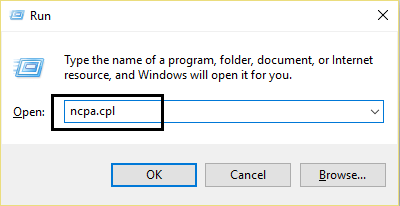 Open run dialogue box (Windows Key + R) type ncpa.cpl in the run box and hit Enter. This will open up the Network window. 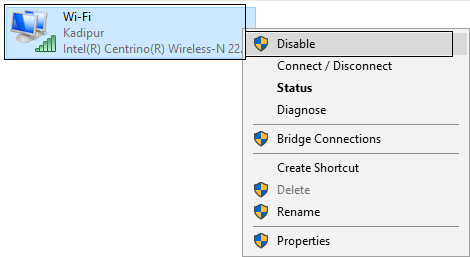 Right-click on wireless adapter and choose Disable. After turning the Wireless adapter off, now you need to turn it on again. Right-click on the adapter and this time select Enable. At last, reboot your PC and again try to connect to your wireless network. 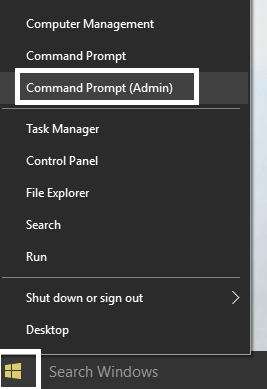 Again open Run dialogue box by pressing Windows Key + R and in the box type devmgmt.msc and press Enter key. Click on the Network adapters to expand its option. 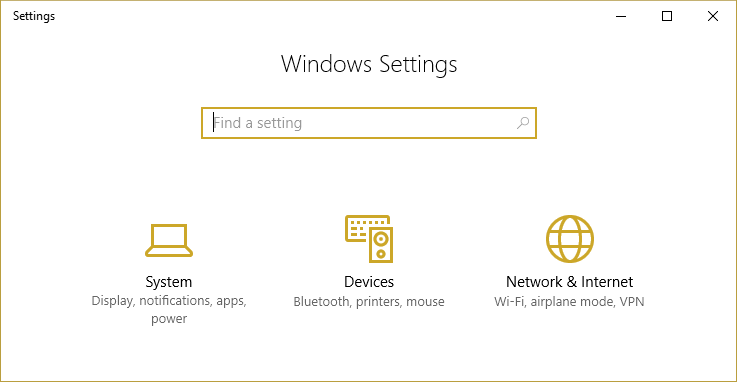 After it right-click on the installed network adapter and choose Properties. 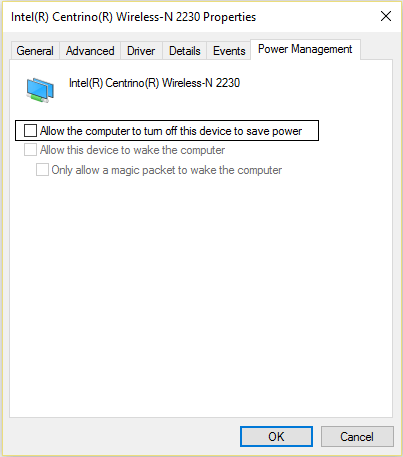 Go to the Power Management Tab and uncheck“Allow the computer to turn off this device to save power” option. Click Ok and exit from the Device Manager. 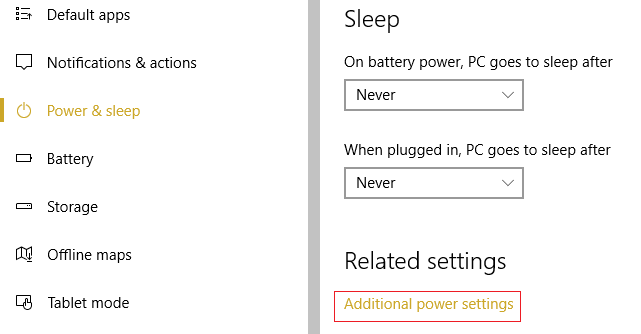 After it press Windows + I keys to open the Settings option then Click System > Power & Sleep. On the bottom click Additional power settings. Click on the “Change plan settings” option available next to the power plan. 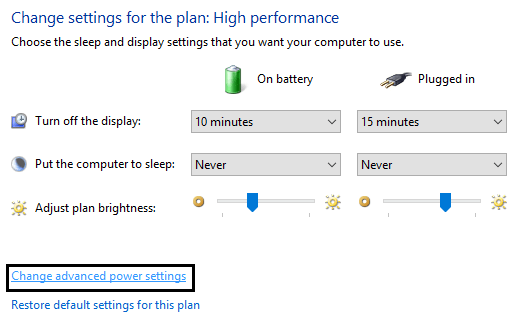 Now, click on the “Change advanced power settings” option present at the bottom. 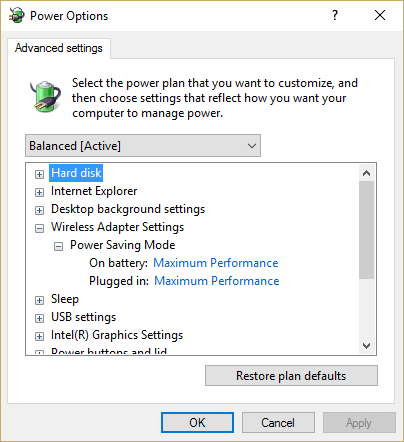 Click on the Wireless Adapter Settings, to expand its option and then again expand Power Saving Mode. Now, here you will find two modes, ‘On battery’ and ‘Plugged in.’ set both of them to Maximum Performance. Click on the on and then Apply. Reboot your PC. 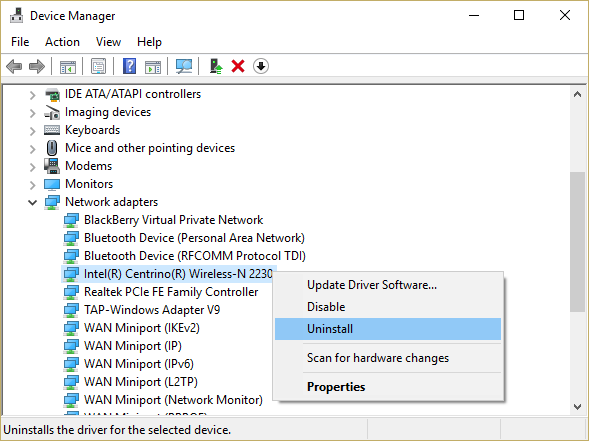 Updating network Adapter Driver you can fix the internal issues of your system. In order to update this specific system driver, you should apply an automatic way and go with a professional Network Driver Updater tool. Follow 3 Simple Steps to Update PC Driver! Step 1 – Download & Install Driver Updater Tool. With the help of this software, you can easily deal with No internet connection issue. 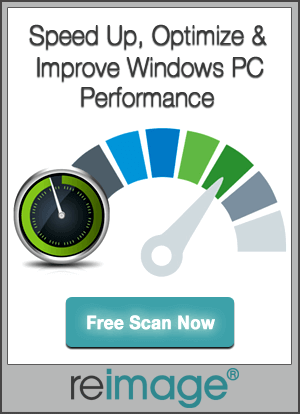 Simply download, install and run this tool on your PC, and it will automatically fix all types of driver related issues by updating them. Again open the device manager. 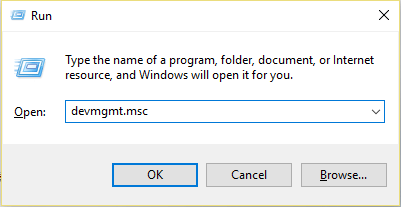 To do this first you need to press Windows Key + R and then in the run dialogue box, you need to type “devmgmt.msc” and press Enter key. Click on the Network Adaptor to expand its option and then right-click on the Wireless Network Adaptor and choose Uninstall. If any confirmation window will appear then choose Yes. Open the settings of your system, you can do this by pressing Windows Key + I. After opening settings click on the Network & Internet. Click on the Status present in the left window pane. 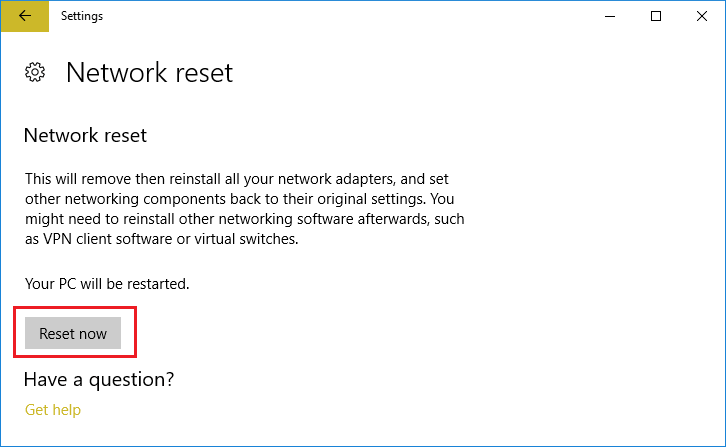 Now, scroll down and click on Network Reset. Another window will appear, click on the Reset now option. If any confirmation message appears then choose Yes. Reboot your PC to save all the modifications. 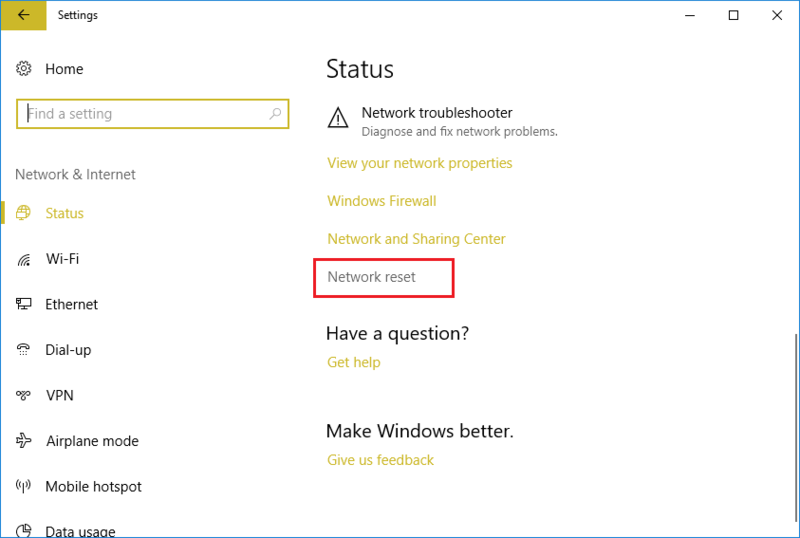 These 7 solutions will help you with the “No Internet Access” WiFi error in Windows 10. No matter why your PC is showing No Internet Access error message, simply follow the given fixes one by one to make your PC normal. According to me, the Fix 5 is pretty simple and it works all the time. All the above-discussed solutions are tested on the Windows7, Windows 8, Windows 8.1 and Windows 10 connection issues. If you found this blog post helpful then please Share it with your friends on Facebook and Twitter. 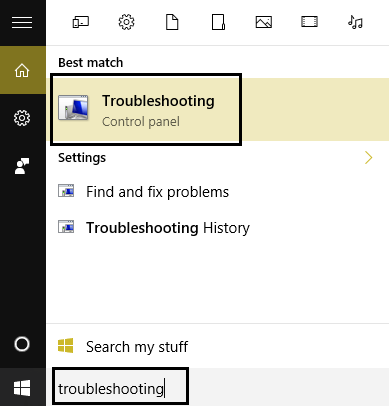 [Solved] How to Fix “Critical Service Failed” BSOD error in Windows 10?